Something that has the environment at its heart and, amazingly, still looks good! 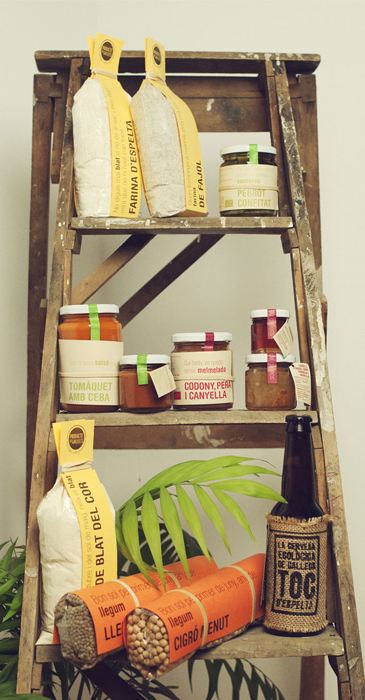 This Spanish brand, Producte de Gallecs features a range of handmade organic products and links to the environment through the creative idea, expressions and proverbs that link the products with the earth. Of course the idea would be less credible if it did not link to an ethical stance on packaging. It uses a single ink in production, chlorine free paper and labels that can be reused as well as being easy to separate for those recycling bins! A brand that has stayed true to its founding principles and has indeed been uncompromising – a rare gem!